Forklift Classroom Training for Only $65/Person! 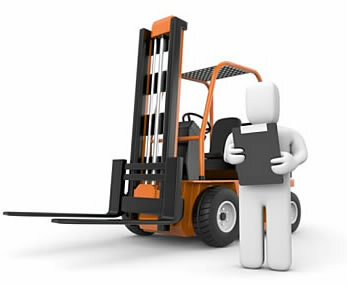 knowledge training required for their forklift / powered industrial truck operators. Askthesafetyman's classroom training program is designed to provide employers with some flexibility and cost savings associated with their equipment training mandates. Our instructors can deliver the formal classroom / lecture portion of the training as required by OSHA code. This would be followed-up with a written exam to verify comprehension and knowledge of the presented material. The employer then would provide the demonstration and hands-on training and evaluation of skills, on their site, as required in the second half of the OSHA code. This allows employers to utilize experienced equipment operators to deliver specific familiarization and equipment specific training to their operators. If you are recertifying previously certified equipment operators all your equipment instructor would need to do is to perform a skills evaluation to verify that the operator continues to be capable of operating each different piece of equipment safely. Our classroom training program can be delivered at the employer's location or in one of our training classrooms. At only $65 for full material handling equipment operator classroom training, our prices are by far the lowest in the industry. As an employer, you are required to provide new equipment with the full formalized and hands-on training. You are required, by law, to reevaluate the knowledge and skills of each previously certified equipment operator every three years. OSHA code does not state a requirement for full retraining, however, most employers prefer to provide the full classroom training again and to follow that up with the skills evaluation. As the employer, there are training options available when it comes to trieannial recertifications. Askthesafetyman can provide the BASIC knowledge and skills evaluation which provides no training and serves only to verify knowledge and skills as required by OSHA. Or we can provide everything in between up to the full classroom and hands-on training and evaluation programs. Askthesafetyman's training programs are designed to provide employers and individuals with high quality, low cost training programs. 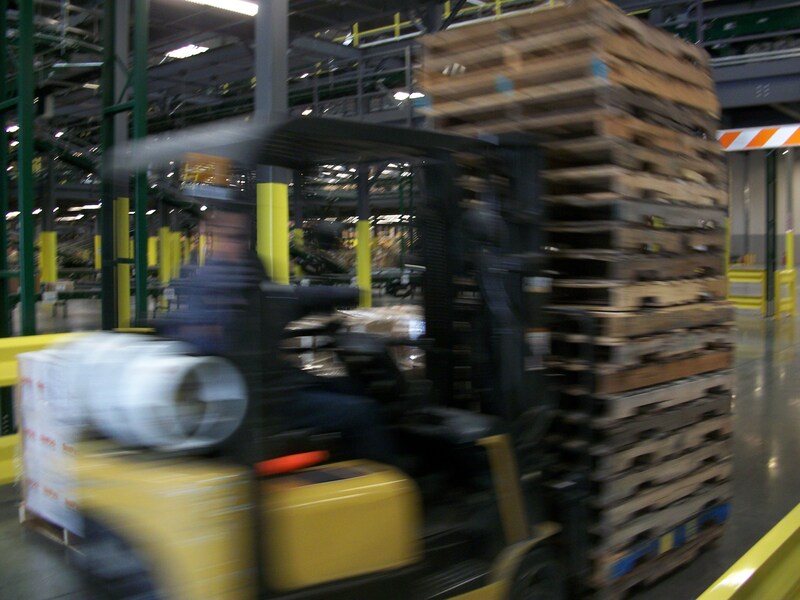 OSHA requires that all new forklift and powered industrial truck operators receive formalized training such as classroom / lecture training followed by practical demonstration and hands-on training. OSHA simply requires that those individuals with sufficient training and / or experience may deliver the training. The problem most employers experience is that they are unable to effectively deliver the classroom training due to a lack of training materials, to ensure all required training topics are being covered, and not having an employee with the skills or ability to deliver this training to small groups. Askthesafetyman provides a comprehensive material handling equipment training program that not only covers sit down forklifts, but also swing reach trucks (SRT's), order pickers, stand-up forklifts and walkie-riders. At only $65/person our forklift / material handling equipment training is extremely affordable and provides tremendous flexibility to the employer by allowing them to save on training costs while remaining fully OSHA compliant. Classroom training programs are available for individual learners to attend at one of our designated training facilities. Askthesafetyman provides onsite classroom training throughout Southern California. Training can be delivered outside our local service area, at the employers facility. An additional travel fee or transportation and lodging expenses are the responsibility of the contracting employer. Contact our Customer Service team at 1-800-277-2267 for complete details and to schedule your training today!